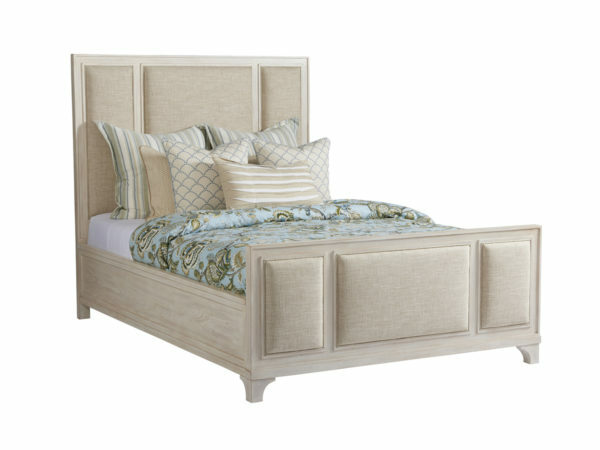 The Crystal Cove bed offers a stylish combination of wood and upholstery elements, featuring welted upholstered panels on both the headboard and footboard. 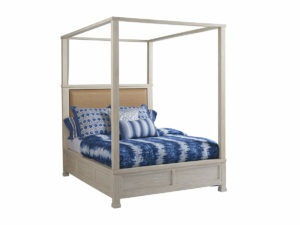 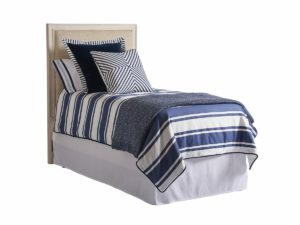 The design is offered as a complete bed with wooden side rails, and as a headboard only, including twin size. 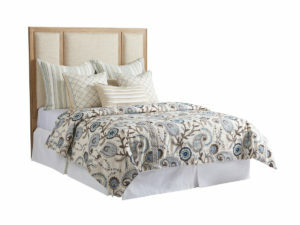 It is available in the Sandstone or Sailcloth finishes and standard in the Ventura pattern 423311 but also available in your choice of fabrics for a custom look.